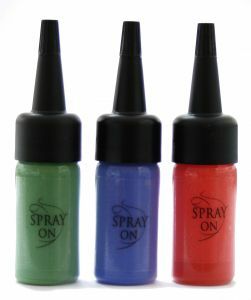 The highly pigmented "BASIC" Colors are ideal for face and body painting works - of course, ideal for Carnival. - You are smudge-proof and water resistant. 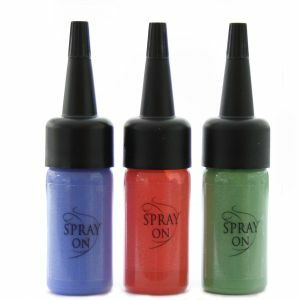 The colors are optimized for the airbrush area and therefore must not be diluted. Clogging of the nozzle is impossible in normal use. 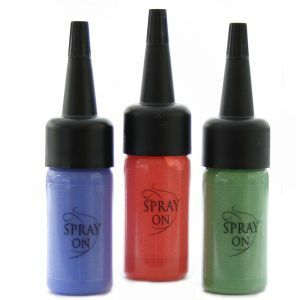 Picture size and color selection, press "detail"
The "PUR" colors are highly pigmented and its micronized pigments for face and body painting perfectly - these colors everywhere there applications where announced is PERFECTION: Fashion Make-up Photo - Catwalk - Television - Print - lifestyle, and so on. The colors are smudge-proof and water resistant. Picture size and color selection, press "detail"
Microfine Foundation and fantasy colors in alcohol based for extreme durability and the highest standards - high definition - on the high-resolution digital camera technology in photography, film and TV. The colors are optimized for the airbrush technique. They can be applied transparent or opaque. The Foundations are in accordance with the Apply water resistant, making it ideal for use in the photo and film shoots, for covering of skin changes and skin problems and in any case when a water-resistant makeup is needed. The fantasy sounds of creativity in the fashion area offers all the possibilities. The color range offers in the region for FX Design of wounds, bruises, etc. to new dimensions. The shades can also be mixed with each other. Polyester Glitter in a special skin glue mixed. 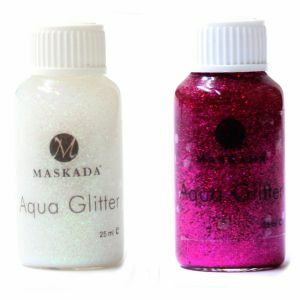 Glimmer Glitter Can all make-up `s autragen without flaking later - Mica Glitter Perfect for all fashion work - especially for body painting, hair designs and tattoos AU-1 gold - AU-2 silber - AU-2 rot - AU-4 blau - AU-6 grün - AU-7 purple - AU-9 hologram AU-1 gold - AU-2 silver - AU-2 red - AU-4 blue - AU-6 green - purple AU-7 - AU-9 hologram Picture size and color selection, press "detail"